I knew virtually nothing about Sleeping Dogs the first time I played it. My brother handed it to me and said “Here, I think you’ll like this.”. The box art told me nothing. It was a lot of Chinese people looking at me I’d just interrupted their Mah-Jong game at a particularly awkward moment, then proceeded to let out a high-pitched whining fart that lasted in excess of fifteen seconds. “You’ll like it. It’s like a kung-fu game.” he said. I’m far from an expert on kung-fu movies, but I like most of the handful that I’ve seen. That and I really remember liking an old PlayStation game called Jet Li: Rise to Honour, which featured Li as the motion capture and scan of the main character. It was like a “twin-stick fighter”. One joystick moved Li around and picked his facing, while the right let you strike out in various directions with a series of punches and kicks. It was, I suppose, a precursor to the fight mechanic they used in the Arkham Batman games of recent years. So, I booted up Sleeping Dogs, and yeah, it quite rapidly became one of my favourite video games ever. You play as undercover cop Wei Shen, tasked with infiltrating a Triad gang in Hong Kong. The game opens with you being arrested following a drug deal that goes wrong, where you are introduced to your handler, and then set free, meeting up with an old friend of yours named Jackie. Jackie offers to get you to meet his friends in the Triads, and the game begins proper. I think part of the reason I took to Sleeping Dogs so readily was how disappointed I was with Grand Theft Auto 4. This instalment of the series felt like it had missed out all the things I loved about it. 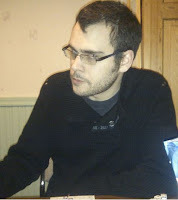 A portion of the early game involved me going to work as a taxi driver, so I could earn money to eat and then take my girlfriend to go play pool, and then go to sleep. That’s not what I play GTA for. That’s what I play The Sims for. Sleeping Dogs, on the other hand, is pretty much all fist fights, gun fights, high speed chases, and more than a few expletives and explosions. The parkour and the kung-fu has to be the most fun part of the game for me. You’re generally just hitting at the square button when launching a strike attack, or the circle button if you want to grapple someone, but where it really comes into its own is the counter system. If an enemy fighter is about to grab or hit you, they pulse red for a brief moment (how brief depends on how good they are). If you manage to hit the triangle button in time, then your arm snaps out, blocks the blow, kicks them in the gut, flips the over, and you feel like an action hero. 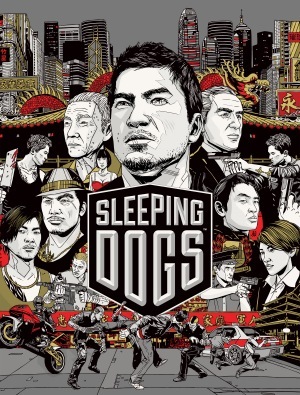 Sleeping Dogs seems to strike a really good balance between open-world and narrative-driven gaming. You can take your time doing what you like. You can go and do all the street-racing missions that I can only presume some of you like. You can go to a Fight Club and get your kung-fu on. You can even just drive and hyper-speed around a surprisingly detailed, and oddly charming, rendition of Hong Kong. The driving sections are really awesome, too. It always feels like it’s going just a tad too fast for you, which makes every chase and corner feel exciting. However, the time comes when the story gently taps you on the shoulder and says “Hey, there’s this story that you need to be getting on with. You wanna come and check that out?”. And you do. And each mission actually feels like it’s pushing the story forward. The side-quests aside, the central story is constantly moving, and not a single scene is wasted. It’s as tight, compact and as fast as the movies it’s emulating. Are there a couple of weak points? Sure. Nothing is perfect, after all. I’d say that you don’t need to bother with the DLC. They either really badly jar with the original, like the Nightmare at North Point that sees ghost/zombies popping up all over the place, or they’re super short, like the potential-filled Zodiac Tournament. Also, the “Drug Bust” missions can feel pretty repetitive, and don’t really fit in with the feel of the rest of the game. These little niggles aside, Sleeping Dogs is a slice of fried kung-fu kick-face punch-gun-death action, and well worth picking up; especially since it’s now updated for current-gen consoles.